1.Preheat oven to 425°F. Quarter pears, remove core and cut into wedges. Place pears in a medium bowl, drizzle with butter and oil; toss to coat. 2.Arrange pears on a shallow baking pan. Roast in oven 7 minutes, turn and continue cooking 7 minutes or until edges are browned. 3.Toss greens and radish together. Arrange 2 cups greens on each of 4 plates. 4.Top greens with equal portions of pears, blueberries and Culinary Tours Rendang Curry Peanuts. 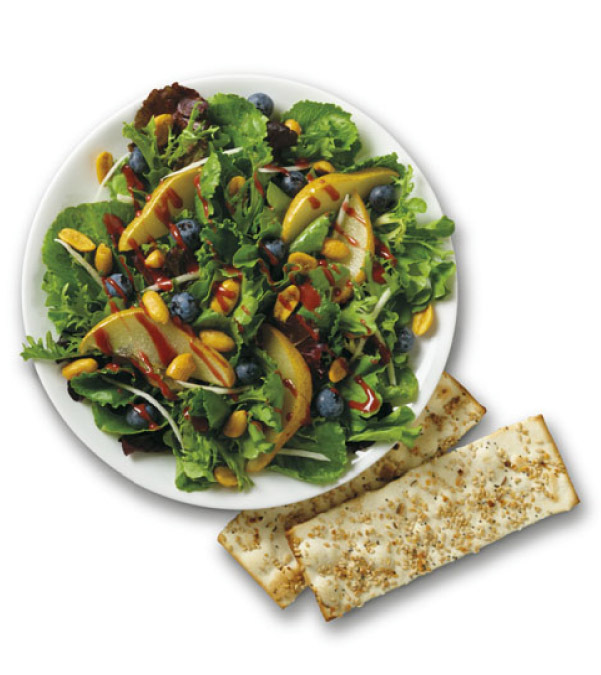 5.Drizzle with Culinary Tours Blueberry Maple Balsamic Dressing and serve with Culinary Tours Multiseed Lavash Flatbread Crackers.